I have finally resolved that I am a superhero geek. When I was a kid, I used to trace pictures of Iron Man out of comic books. I had a garbage lid painted red, white and blue. I wore capes around the house. Don’t lie to me. Most of you guys did the same thing. There is just something so profoundly cool about being a superhero. Of course, when my childhood passion manifested itself in the form of movies like Wolverine, Spiderman and Iron Man, I was in movie-buff, superhero-geek heaven. These movies are still my “Man, I am so bored” default DVD’s. So back in early 2012, when I heard about the release of “The Avengers”, I just about died. ALL OF THEM IN ONE MOVIE?! I remember having to wait six months to finally see it, and like a kid waiting for Christmas, the countdown was on! In case you haven’t seen it (and you live in a cave), and without having to dish out spoiler alerts, let’s just stick to the basics. Thor’s insane brother, Loki, is wreaking havoc on the world, backed up by a virtually undefeatable group of aliens. 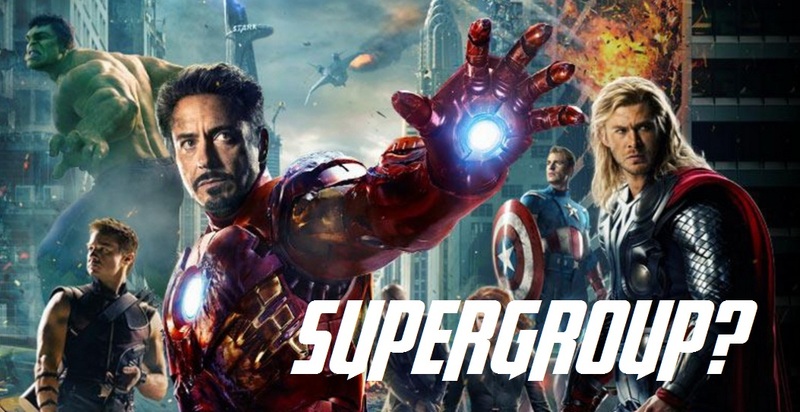 To combat the invasion, SHIELD director Nick Fury attempts to put “The Avengers” project into full implementation, melding a bunch of superheroes into one dysfunctional group. I think Tony Stark describes this gang of heroes the best while challenging Loki: “Let’s do a head count here: your brother the demi-god (Thor); a super soldier (Captain America), a living legend who kind of lives up to the legend (Iron Man); a man with breath-taking anger management issues (Hulk) and a couple of master assassins (Hawkeye and Black Widow)”. Not a single one of these guys seems to have the capacity to work as a team, in spite of the world hanging in the balance. Tony Stark has an ego bigger than all outside and has a bit of a stewardship issue. Thor is a self-entitled rich kid (and a prince, by the way) who is really pissed at his brother. Bruce Banner, Hulk’s alter ego, is just trying to maintain composure and not smash everyone in a fit of rage. Captain America is an old-schooler, recovering from 70 years of cryogenic sleep, and so far behind in the times that he can barely keep up with his new millennium compatriots. Hawkeye gets blindsided by Loki at the very beginning of the film and becomes a brainwashed puppet for the bad guys. And, of course, Nick Fury, who just wants to unify the group into a tangible fighting force, is the only one with the big picture in mind. Fury’s vision is not uncommon to any good leader with battle on the horizon. In fact, I have been in a few men’s groups in the past with a cast of characters not so different from the Avengers. In one group, we had the old guy who kept trying to steer us into deep discussions about Revelation (UGH), a young guy who hated his marriage, a couple of dudes on the verge of bankruptcy, a rich kid who was essentially the best church performer I have ever met and a guy who kept getting into fights with everyone because, in his words, they were “all idiots”. And, much like Nick Fury, there was the visionary who KNEW that the battle for our souls could only be won when we fought for each other, held each other accountable and talked to each other. If you are in a group where everyone is rubbing you the wrong way, stick it out. Give it some time, and watch what happens. The small group I mentioned became the tightest group I have ever been in. If you know you need to be in a group, but you are afraid to make a move, just move. Solomon said it best, “Though one may be overpowered, two can defend themselves.” (Ecclesiastes 4:12a). In plain English, it means together we can do things that we otherwise cannot do alone.